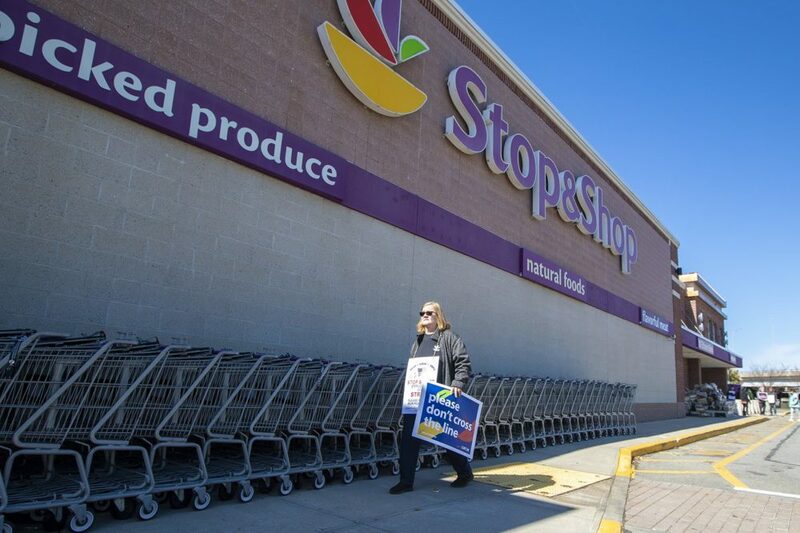 Stop & Shop shuttered an undisclosed number of grocery stores Friday but said a "majority" of locations in Massachusetts and two other states remained open, on reduced schedules, as union workers picketed on the first full day of a strike. Outside one store, interactions between union members and temporary workers quickly grew tense, with some picketers claiming that their replacements are prison inmates on work release. Stop & Shop strenuously denied hiring inmates. At a Stop & Shop in Mansfield, two vans dropped off temp workers shortly before the store opened at 8 a.m. Friday, two hours later than usual. As the temp workers met briefly in the parking lot, one union worker could be heard saying, "You can steal a car, and now you can work at Stop & Shop?" "Yeah, and then they're going to steal people's identities when they hand in their credit cards," another union worker replied. A third shouted, "You can't find real jobs, but you can steal 'em," as the temp workers walked into the store. Most of the picketing union workers at the Mansfield Stop & Shop were white; most of the replacement workers observed by WBUR were black. 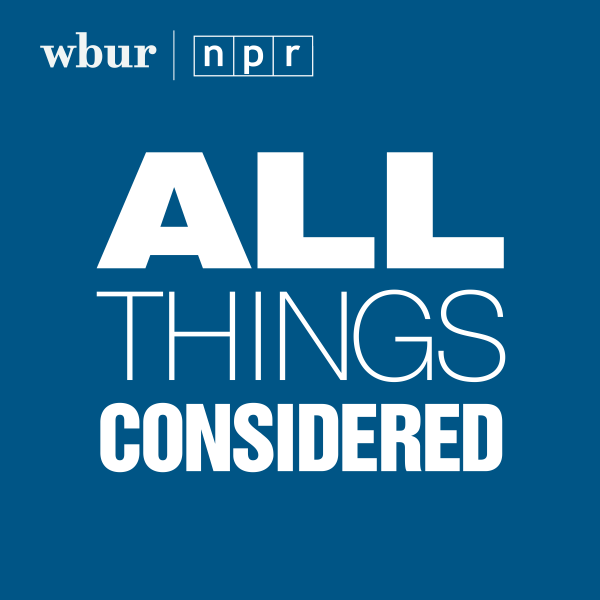 Replacement workers declined to identify themselves to WBUR. Three female workers appeared teary-eyed when approached inside the store. 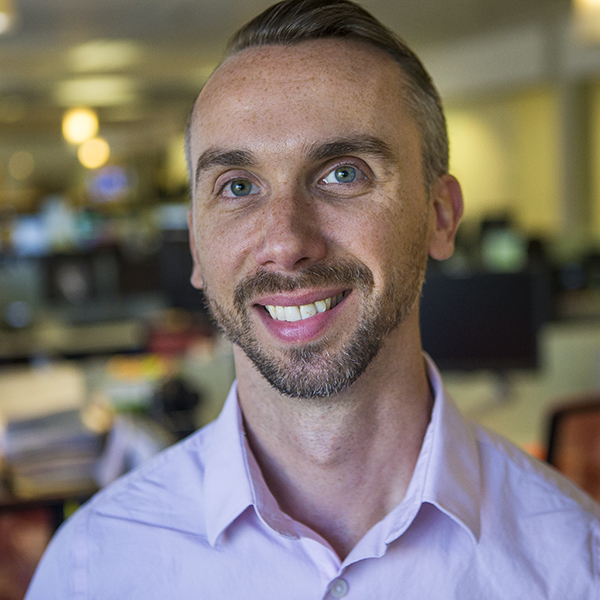 Editor's note: The video below contains some profanity. One union worker, when asked why she believed the temp workers were inmates, claimed that "one of them even came out and said it" when the vans first arrived on Thursday afternoon, as the strike began. The union worker identified herself only as "Tracy." Matt Sorbello, a strike captain with the union UFCW Local 328, said, "The word is that it's work-release prisoners that are in the building. I cannot confirm that. Just based on what my team is telling me, that is what is in here." Jennifer Brogan, a Stop & Shop spokeswoman, said, "That is not correct. We have not hired [Department of Corrections] inmates as temporary replacement workers. Our contingency plans included training and deployment of our support office employees and the hiring of our own temporary workforce. With the low unemployment rate in New England, we were unable to build our own temporary workforce to sufficient numbers to run our stores without the use of an agency to make more workers available for a quick deployment." Brogan declined to name the staffing agency. As labor negotiations faltered in recent weeks, Stop & Shop had said it would attempt to "minimize disruptions to our store operations," in the event of a strike. But with roughly 31,000 union workers off the job, the company has been unable to cover all shifts. Major sticking points in the contract talks include health care and retirement benefits.